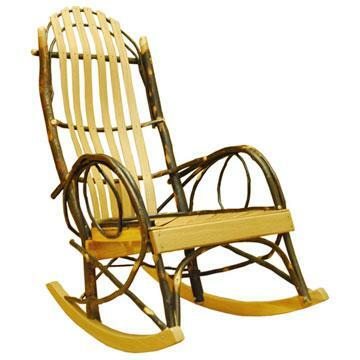 This Natural Amish Hickory Rocker Chair is skillfully constructed by highly experienced Amish Craftsmen. 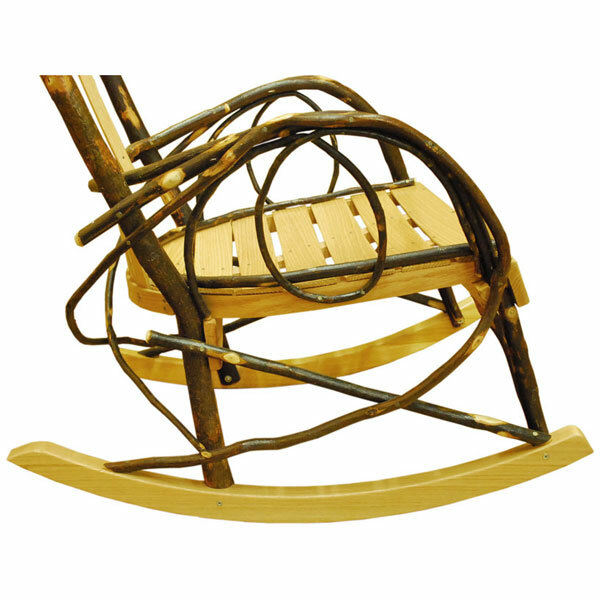 This Hickory Rocker is exceptionally unique not only because of its genuine antique design, but because it is made from the hardest of all North American Harwood. The legs and part of the back on this Rocker are constructed from the suckers of Hickory trees - a material that is harvested limitedly in certain seasons.